When people are angry they are anything but rational, so the amount of brand damage they can do for you is near limitless. Imagine if a person or small group has reach to a group of people entering your space, and tells them that you are unethical, a liar, worthless, etc. If such a statement is contained then no big deal, but if it starts spreading as common knowledge people will just assume it is true. For every person creating media there are 100 people quietly consuming it, and if you are successful and have mindshare people will try to tear you down every month. If they are already creating unprovoked brand damage then they are probably angering other people too. If you can't clear it up directly it might be a legitimate strategy to call them out on it such that other people they offend down the road will discover your brand. Another popular strategy is to ask friends to clear it up if you want to keep yourself removed from the conflict. We are all flawed, and the goalposts are always moving. One day we are at the top and the next day people are surprised at the fact that we are a spammer. One of the things that is most likely to kill a successful SEO job is boasting about the ROI and/or how easy it was. Ever since Google started aggressively editing the search results the difference between a successful strategy and an ineffective one is often one blog post. Brent Csutoras gave a lot of great examples of strategy gone awry in his STFU post. Back around 2004-2005 Google was having issues with 302 redirect hijacking, so I made the SEO Book affiliate program use 301 redirects. I mentioned that those links passed weight in our online SEO training program. 301 redirecting affiliate links is a popular way to build link equity, but after Rand used my site as an example in the following video those 301s no longer pass PageRank. Remember when Jason Calacanis was launching Mahalo, and how he started railing on about Squidoo being spam before he launched his site? A year later the truth washed out that Jason intended to create a site with content that would be categorized as spam by Google's internal documents. Many years back Jill Whalen and I had a falling out because I was bidding on people's names via AdWords, and she did not like it. She thought it was scummy for me to bid on other brand names, but she had no desire to police her affiliates when they did the same. To this day she still slings mud at me, calling me a black hat, etc. Dan Thies, who wrote an ebook a couple years before me, had to battle through some nastiness as well, so I am not sure what percent of what I dealt with was natural feeding off the young or if the people complaining about me were actually mad at me. Given that they didn't mind when they profited from what they did not like, I would guess that it was mostly the former. The big issue with eating your young is that you never know when it will come back to haunt you. Some people who get established allow their egos to grow beyond any rational limit, and are nasty to many new people entering their field. But the thing is you don't know who is going to become a star down the road, and who will have the influence to crush or embarrass you. Consider how Shel Israel angered Loren Feldman years ago. Shel had long forgot doing so, but then Loren registered ShelIsrael.com and put up a sock puppet show that lasted for months! When I first started my career, you made it a point to bury me online, and more importantly back channel as well. This is a fact. You and your crew went out of your way to take food off my plate. I never forgot that, and now you have something you’ll never forget. One of the things I struggle with in the SEO field is that so many of us end up doing so well that sometimes we let our egos get ahead of what made us do well and we forget where we came from. And so I hear negative stuff about interactions between many friends. Its hard to be empathetic when it seems everyone has wronged others at some point in time. I know I have screwed up more times than I can count, and much of the conflict ends up being drama for the sake of marketing. PageRank was, is, and will always be a flawed concept. In some cases the best person wins, but in many cases the best person loses because they were not good at public relations and marketing - or because they made somebody angry, and they decided to blackball them. Some of the top communities in the search marketing field do not get along well. Incisive Media employees and Third Door Media employees are banned from attending each other's conferences. Ever since Danny stopped doing the Search Engine Strategies conferences I have been asked to speak a grand total of 0 times. Guys like Graywolf and I were replaced by sponsored panels. My wife has been learning a lot about pay per click marketing recently and decided that she wanted to create a site focused on PPC. We have made about a half dozen posts so far to PPC Blog, and she just finished her review of Google Ad Planner. ICANN laxed strict rules on top-level domain names, which will allow people like you and I to create new domain name extensions based on "any string of letters, in any script." The initial cost of setting up a new TLD could cost a few hundred thousand dollars. Given that Google is already biased against some domain extensions (Google dropped .info names a month ago) and trillions of dollars have been spent advertising businesses connected to current TLDs, many of the new TLDs will be fighting an uphill battle from both a search relevancy standpoint and a mindshare standpoint. We are experimenting with how much verification vs. how much ease of use. There are variables as to when to prompt... In the past it had been too liberal, and is becoming more stringent. We are experimenting on the quality of the listings and spam. There is no hard yes or no answer to the correct structure. 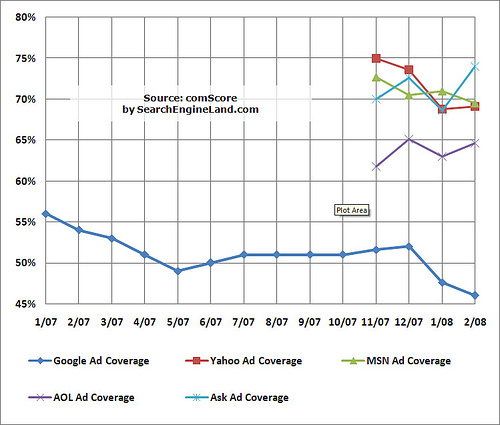 That strategy works well for Google Local, Mahalo, Squidoo, Digg, etc. but new domain extensions will struggle with growing in a similar manner though, because there is significant opportunity cost to building something great on them, and if they are too lax and spammy they might get filtered out of Google's search results. How might the marketplace react to an increase in the number of competing domain extensions? It might provide a cap the price that some generic names without businesses trade at. As noted by a person who commentedon this Domain Name Wire post, "Why would disney spend millions on Resorts.com when they can get their own extension for MUCH MUCH less and just go with Resorts.disney." I suspect .org names will still remain strong because so many organizations already use them and most non-profits will not be able to justify spending 6 figures on a domain extension. Decent - but not great - .com names (like 3 or 4 word domains without much exact match search volume) might lose some of their value. I suspect even more of a drop for lower end .net and .org names. What new extensions will do well? A few new generics (.web and .blog) might get some traction, but most will fail. Even if .com names keep increasing at 7% a year, there is a lot of certainty on going with the established standard, and a lot of risk in going with something brand new. Who knows if an extension might eventually go away after you spent years building a brand on it? The new TLDs will create a great opportunity for branded community websites built around memorable ideas and causes, but the backers need to be good at public relations to gain meaningful awareness. Some of the new TLDs will buy sponsors (like when Demand Media partnered with Lance Armstrong on Livestrong.com) to gain awareness, while others will gain mindshare by making hosting and other paid for services free and easy. Data from search logs is one tool we use to fight webspam and return cleaner and more relevant results. Logs data such as IP address and cookie information make it possible to create and use metrics that measure the different aspects of our search quality (such as index size and coverage, results "freshness," and spam). Whenever we create a new metric, it's essential to be able to go over our logs data and compute new spam metrics using previous queries or results. We use our search logs to go "back in time" and see how well Google did on queries from months before. When we create a metric that measures a new type of spam more accurately, we not only start tracking our spam success going forward, but we also use logs data to see how we were doing on that type of spam in previous months and years. It's the work on your desk.... It's the work on your desk. Do well with what you already have and more will come in. When you look at some of the most successful companies many of them live and die by that. In spite of Microsoft's monopoly position in many markets Bill Gates still views his product through the eyes of consumers. Gord Hotchkiss recently posted an article about how many of the newer mega-companies (like Google and Apple Computers) are built not just by viewing customers as an asset, but because the founders are customers of their own products and services, who built the service they wanted to use. The more I think about it, the more I don’t believe customer-centricity is the key. It’s not a goal, it’s a by-product. It comes as part of the package (often unconsciously) with another principle that is a little more concrete: product-centricity. Product-centric leaders, the ones that are obsessive about what gets shipped out the door, are customer-centric by nature. They understand the importance of that magical intersection between product and person, the sheer power of amazing experiences. The iPhone is amazing. Disney classics are amazing. My first search on Google was amazing. Steve, Walt, Larry and Sergey wouldn’t have it any other way. It’s the idea that the founders are doing something that they think is useful for themselves, And, then, eventually perhaps, coincidentally, perhaps accidentally, they discover that the product or service that they have built because they wanted to use something like this is that of great interest to lots of other people. When you build for yourself you can build a product for one (ie: no demand), but the cost of failure is low, one of the core ideas in Clay Shirky's Here Comes Everybody. It is so fast and cheap to test things online that if you are passionate and aggressive success often happens accidentally. PageRank was an academic project for finding authoritative citations that just happened to turn into a search engine. January 5, 2008: Bought $29.99 _______ SEO service from a second shady search engine submission service provider. which prompted me to use my meta tag generator, which offers real useful advice on how to generate a good page title and good meta tags. Submissions are done manually or semi-manually. They list the big 3 engines, Alexa, DMOZ, Librarian's Internet Index, and the Yahoo! Directory. I submitted to the engines, but did not submit to the major directories because I doubt they would list this site there, and did not want to risk them removing some of my other sites because they were angry I submitted this one. The Yahoo! Directory may have listed this site if I paid their fee, which is $299 a year. Paying that extra $299 fee removes DollarSEO from its roots though ($299 for one link sure takes the $30 SEO project out of the $30 category), and again, I did not want to risk them removing my other sites from their directory. 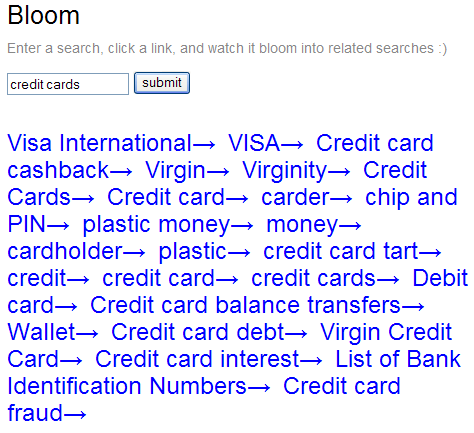 Beyond that they list something like 200 more directories and search engines. Since many of these directories are free, their business model is hidden on the back end. You will find that they send you no traffic, but do spam the crap out of your email inbox for submitting to them. Some of these emails say click here to confirm, and then if you click through and submit your email address and website details they offer a Paypal button for you to spend $20 on the submission, even though it is to a search engine with poor relevancy that nobody uses. Even if you do not pay you can bet they will email you. Some try to upsell you on more "submit your site to thousands of additional search engines" programs. Ask yourself why so many of them need to validate and revalidate your email address to take your listing. It is because they want to pound the crap out of your inbox with spammy offers. I remember being on the receiving end of this crap when I started out on the web about 5 years ago. Some of the listings have errors. Skaffe (the directory) was listed as a search engine. The additional search engines category includes AltaVista and Alltheweb, which are powered by Yahoo Search. The first additional search engine link I clicked on was in German, had no actual submission form that I could see, and included a huge AdSense ad block in the content area. Update: For driveby searchers here are some free search engine submission links, though you will probably need to build links to rank for anything competitive. Every day I still get lots of emails and phone calls asking me to answer SEO questions and how to build their businesses for free. I get far more email than I could possibly answer, but much of it is from people who place a $0 value on my time - which does not scale as a 1 person business, especially after the failure of communism. When people pay they value and appreciate what they pay for and are more likely to act upon it. The act of paying for information increases its utility and value. Lots of people dig up scoops and have a wide array of experience that make the forums far more valuable than they could ever be with just the experience of one person or a small group. The pricepoint filters out people who do not value my time or their own time. This has multiple benefits, a couple of which are listed below. Rather than being chuck full of the self promotional hype, affiliate offers, and misinformation that dominate most public forums our private forums have a much higher signal to noise ratio. Rather than rushing through hundreds of emails just to finish them, I can take time and do the best job I can answering the questions of the people who actually value my advice. There is no such thing as pricing pressure. You just need to focus on the people who care about what you have to offer, and ignore the 99% of the market that does not. This tool bases its data off Google search data, aggregated opt-in anonymous Google Analytics data, opt-in consumer panel data, and other third-party market research. Those who wondered why using Google Analytics is a bad idea just got a taste of why it is a bad idea! Sure the data is only aggregated anonymously, but with Google owning 70% of the search market and having access to your analytics data you never know how deep they could decide to go through the data for competitive purposes. Is your site a keyword source for AdWords? How much of your data will appear on Google Trends? You can't export the data yet and it only shows data for high traffic sites, but it is a great free tool for marketers. If sites do not show any data then they are probably either low traffic sites or penalized. The related sites feature lets you know how related your audience is to other sites, which is useful for determining how familiar their audience is or if you are reaching a new audience when buying ads. The top keywords shows you what competing sites are getting traffic from, and if those terms tend to be more brand oriented or more generic in nature...which is useful when thinking about the stability of a website you may want to purchase. Fred Wilson did a review of Google Trends, comparing Google Analytics to Compete.com and comScore across 3 high traffic websites. Since we are investors in these three companies and know what their internal numbers are saying, I can safely say that ComScore and Compete are lower but directionally correct. Google is like Alexa in that they don't report absolute numbers but even if they did, they are not directionally correct on this particular set of companies. The fact that Google is even compared to the analytics firms with years of experience and algorithmic tuning shows how easily they could take a leading position in this market if they wanted it. Google will improve their accuracy, and at any point in time they could chose to expand the top 10 keywords to the top 100 or top 1,000. The AP threatened to sue a blogger for quoting small passages, and at the same time the mainstream media is trying to redefine copyright for their own benefit. Eventually much of the mainstream media will start looking like eHow and Mahalo. Your content compiled and slightly rewritten by a third party. Your keyword list is their money list. Thousands of people are competing against you while you read this sentence. As your data leaks it is going to be tough to stay competitive unless you are often the topic of conversation. Public Relations is the only PR that matters. The idea of staying competitive through obscurity is obsolete. So you may as well be a loud mouth, encourage users to be loud mouths, and build a big brand that helps protect your plot from competitive market forces. As a field get saturated one of the easiest ways to stand out is to take generalized tips from one field and apply them to another niche. Recently Rebecca mentioned this Recruitment SEO guide, and a friend of mine named Dave spotted this real estate marketing guide. Some resources are niche specific while others are applicable to many industries. Ping Pong Pie (nice domain name) compiled a list of top social networking sites by category. The Zip Code Guy blog offers a 27 MB database of US cities, counties, and states which works great for local keyword generation for AdWords when used in combination with tools like Speed PPC. Registering a couple of the more common alternative domain extensions (like .net and .org). This also has the benefit of locking out some competition if you own a keyword domain. If your brand domain is not generically descriptive then buy not only your brand name, but also buy the name with your brand name + your field of trade in it. Just recently one well known SEO firm was the victim of brand dilution due to someone registering theirnameseo.com and doing a massive email spamming campaign. For each major product launch or linkbait launch you may also try to get at least the matching .com name (advice I wish I would have gave myself in the past). Some companies may also go so far as to check for other domain names containing their keywords, monitor recently registered names containing their trademarks, or pay a third party to do so. You probably do not need to go that far in most cases, but if you are going to put a lot of time and effort into building a brand then carrying an extra couple hundred dollars a year in registration costs is a negligible fee to help protect your offering from brand dilution from unsavory market competition. At O'Reilly, we always say "Create more value than you capture." All successful companies do this. Once they start capturing more value than they create, their market position erodes, and someone displaces them. It may take a while but it happens eventually. Google has articles in the media talking about how they tweak dials to optimize revenues. While many competitors have increased the number of ads they show, Google has been showing ads across a smaller portion of their search queries, as shown via this comScore data. If you do not pay Google enough they simply will not show your ads, even if there are no competitors. I have ads where I am the only bidder and I get a 17% clickthrough rate - and yet there is a 17 cent price on those clicks, rather than a true market floor. Bid too low and your ads simply do not show up - even if you are bidding against nobody. Getting your account Google slapped is a well known phrase amongst many affiliate marketers. One day your ads are going great, and then the next day every keyword has a minimum bid of $5 or $10 per click. On the flip side of that, many click arbitrage based business models are only profitable *because* a publisher gained access to a high authority trusted Google partner which allowed cheaper ad prices for the same keywords & ad units. Google has went as far as publishing information about the types of business models that they do not like. Unlike acceptable business models like reverse billing fraud and infidelity, selling ebooks on sites with ads might merit a low landing page quality score. Google products are advertised aggressively across Google's content network. Given that internal Google product benefit from brand awareness, bidding with funny money, and cheaper ad prices (since they don't have to give Google a cut) others with similar business models can not compete. When Google recently entered the mortgage lead market they gave themselves an ad title of 49 characters, and a dropdown that is not available to other advertisers. Those who choose not to empathise may enable real monsters. For without ever committing an act of outright evil ourselves, we collude with it, through our own apathy. You can learn a lot about how ideas spread by playing on the web 16 hours a day, but many of the best ideas are either recycled from other markets and/or sparked by deep thinking from reading about other markets and determining how those markets & ideas intersect with your own. When I play online too much I start to feel stagnant and like I am not learning anymore. Reading a good book cures that. And, more SEO related, Joost de Valk wrote a 12 page Guide to Wordpress SEO, which goes nicely with our Blogger's Guide to SEO. Suppose you own an ice cream shop and don't know which flavors to serve, or suppose you're responsible for stocking supermarkets across the country; Trends can help you explore the popularity and seasonality of your products. To conduct your own, more detailed analyses, you can now easily export Trends data to a .csv file. How can you use this data to build your business? Predict seasonal trends, as mentioned above. Better understand the relative volume of keywords to help guide SEO campaigns - especially useful for looking at longtail keyword modifiers given that this keyword data is broad matched. Find what areas where different keyword versions are most popular. View the brand lift of past marketing campaigns done by competitors (by cross referencing blog citations & Google news mentions with search trend data). Better time marketing campaigns based on the performance of past campaigns. Monitor how popular keywords come into being, and when derivatives become popular. SEO Book is far more popular than seobook (over 3X as popular - but only 50% more popular this year), and was picked up by Google Trends almost exactly 1 year prior to the less popular version. Compare the growth of your brand to competing brands to understand general market growth trends. Google Does Not Like Flash Welcome Screens, Will the Google Browser? Philipp Lessen pointed out that Google now offers a link in the search results to skip intro on flash intro pages. Philipp also mentioned rumors of a Google Browser from February. Google also launched a major offline advertising campaign in Moscow, hoping to gain market share on Russian search leader Yandex. Safety From Google Editors: Since AdSense is a Google product you never have to worry about internal Google quality rating guidelines calling an AdSense link a sneaky redirect (like they do with CJ links). Profit From Spam: If you have a pharmacy affiliate or payday loan site then many people will consider the site spam by default. But if you tastefully write an article about such topics and then just happen to have AdSense on the page you are not viewed as a spammer by the general web public - Google (and AdSense) are a ubiquitous part of the web. People Under-estimate Your Earnings: Many web publishers have published AdSense sites and made nothing. Thus if they see you publishing an AdSense site they may assume that your site earns nothing, and be less likely to clone your site and more willing to link at your site than they would be if your site appeared more commercially oriented. The Informational Bias of Organic Links:Information is generally considered more citation-worthy than pages that sell stuff. Thus if you monetize via AdSense you can get inbound links to the money making pages without having to buy links. With most commercial offers you are stuck building links to other related pages and hope that internal anchor text & domain authority lift the page's rankings. Longterm from a business sustainability standpoint it is nice to have direct ad revenues not controlled by Google, but AdSense can make for some nice short-term cash flow. Our keyword tool is powered by Wordtracker's API, but if you want access to more keyword data they just announced they are offering a free 7 day trial to the full Wordtracker keyword tool. A few years back when I came up with the idea of ReviewMe (prior to Pay Per Post launching, but we were slow to market) I felt there was a need for bloggers and advertisers to be able to interact. Largely because I was getting more email than I could handle, and largely because I kept seeing blogs gain momentum in the marketplace. Recently Patrick Altoft from Blogstorm announced an email group for buying blog placements, and a service which allows you to buy Blogroll links named Blogrolled quietly launched. But the paying for reviews idea has been a harder sell than I appreciated. Even social scientists 10 times smarter than I am have struggled with making ads go viral. When you directly pay for exposure it is seen as inauthentic. Take the same concepts and run them through a public relations campaign and you are a genius. The downside of paying for direct exposure & editorial got a bit more exposure this week. A lead generation company named EPerks bought a review on Vlad Zablotskyy's blog through Sponsored Reviews, and generally got a good review. But then people commented on that review, which lead to a follow up post called ePerks - a scam or a gem?. That post got 163 comments, ranks #2 in Google for eperks, and lead to a lawsuit. Mob mentality is never nice, but when you sue people (especially bloggers) it is easy to create more than enough collateral damage to offset any potential gains. The message being spread (complete with logo, donation buttons, and viral components) is defend free speech online. That is a hard meme to stop. Lots of links will flow, but unfortunately their brand is destroyed. Perhaps they can later 301 redirect their site, but the PageRank is probably going to be worth less than the negative karma associated with the conflict. Compare the above scenario with having a blog in the marketplace and building fans one at a time. Sure connecting with people one at a time is slower, but it is much less risky too. After hearing a few people mention the NBA finals I went over to Yahoo! Sports to check it out. The Celtics are ahead of the Lakers 1 game to 0. Given the history of that rivalry it is no surprise that decent NBA Finals Tickets are selling for over $1,000 and courtside tickets fetch $20,000 or more. Yahoo! paid the editorial costs to create great content relevant for this high profit margin niche, and what do they do with it? They waste it. How are these ads relevant to an article about the NBA finals? Mind you this is Yahoo! 's own editoral content located on sports.yahoo.com, so it can't be hard to make an algorithm a bit more relevant than that. Given Yahoo! 's irrelevancy it is no wonder that they are heavily reliant on arbitrage and syndication - they need those players to add relevancy to their broken ad platform. At least the people who are paying for the clicks care about a relevant experience, though one would imagine Yahoo! could earn more with an honest attempt at relevancy. I have worked with some large multi-national brands who had multi-lingual sites, but they typically hired us for English optimization, and never really asked for much more than general advice and strategies (internal link flow, subdomains vs unique domains, etc.) when it came to other languages and cultures. I noticed a few differences between Google.com & International Google results while traveling, but I still only analyzed stuff that was published in English. What are the best informational sources for SEO in Japanese? SEO in Chinese? SEO in Spanish? SEO in your language or region? How do you feel SEO in your area differs from the SEO advice you read from those of us who operate in the English US marketplace? I also would love to publish a guest article for each language. Wikia recently announced that their search service was finally almost worth using. It is easy to rate and vote sites up to the top of the search results. When they have limited marketshare they will not get much spam. As they start building marketshare will they be able to get enough people engaged in the project to fight off spam? And who defines what is spam anyhow? If this project gains any momentum and they provide a list of most frequently edited search results you can expect that to be a nice list of commercial keywords, much like Mahalo! Wikia Search also offers a nice keyword suggestion tool in their Bloom tool, which shows related search queries based on an input query.